For decades, Safe Haven Ministries has been a shelter for abused women and children. Now, opening on December 11th, Safe Haven will double their capacity and open a brand new facility to serve more women and children throughout the West Michigan community. Helping to provide them with the support and resources to heal, Hire For Hope assists their financial endeavors through quarterly giving – the mission of our business! The 2018 EPIC Awards hosted by the Grand Rapids Chamber with take place on October 30th at the Grand Rapids Art Museum. Recipients and finalists alike are honored for their support of the community, their growth and innovation in business, and for their work with others as mentors and collaborators. Hire For Hope has been nominated for Women-Owned Enterprise of the Year! 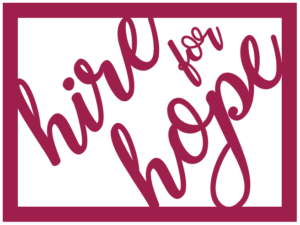 Alongside 30 other local entrepreneurs and organizations, Hire For Hope will celebrate the outstanding success stories and contributions made by these individuals to West Michigan’s thriving economy. Want to attend the EPIC Awards with us? Register Here! Good Company Podcast – Life’s A Peach! The Grand Rapid’s Chamber has a Podcast: Good Company! Twice a month, Sarah Cavanaugh sits down with some of Grand Rapid’s greatest professionals, creatives, people looking to make a difference, social influencers, and even the newbies in town with a cool backstory. 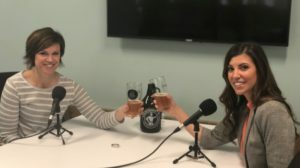 Tune in as she explores Ashley Ward’s inspiring background while drinking Michigan-made craft beer! Ashley Ward has led a challenging and unconventional life. She dropped out of High School at age 17 to work full-time, became a mom, and eventually found herself in an abusive relationship. Fast forward to today – where she’s a college graduate of Cornerstone University, happily married, and founder of Hire For Hope. How did Ashley find the strength and courage to turn it all around? 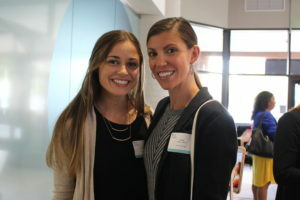 http://hireforhope.com/wp-content/uploads/2018/11/download.jpg 210 241 Ashlee Moran http://hireforhope.com/wp-content/uploads/2017/01/xxxxxxx-300x225.png Ashlee Moran2018-04-04 22:43:362018-11-21 17:24:46Good Company Podcast - Life's A Peach! 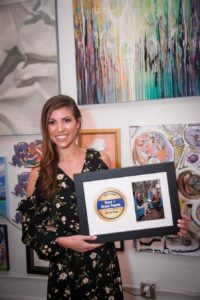 Local First hosted its inaugural Good for Grand Rapids Awards ceremony in March 2018. Categories included: Good For The Environment, Good For The Community, Good For Governance, and Good For Employees. Local First has a passion for people living and working together in sustainable community. As a branch under Good For Michigan, Local First is West Michigan’s leading resource for companies looking to make a positive impact in their community. Through Good For Michigan, Local First is equipping businesses with the tools they need to use their business as a force for good, and celebrating them for making a positive impact in the community. Hire For Hope took home the “Good For the Community” Award because giving back is a permanent part of our mission! 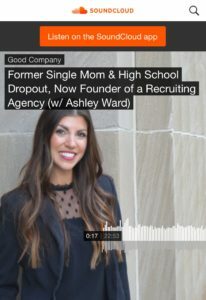 Partnering with a diverse client base while helping give women and children access to the same services and resources that helped Ashley Ward thrive is our company’s foundation. WZZM13 News covered the event to display how each company is using their business model to create jobs, build stronger communities, and a healthier region. By utilizing Hire For Hope’s recruiting services you can make a difference. For every average candidate placement made at Hire For Hope, four families can receive a week of shelter and escape domestic violence situations. Safe Haven relies on local individuals and businesses to support their services. 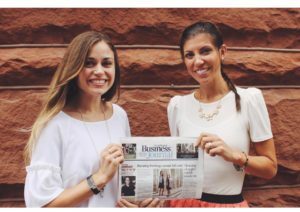 Read more about other Local First Finalist & Winners and find additional coverage from the GRBJ here! The statistic shows that 1 in 4 women and 1 in 7 men will encounter some form of domestic abuse in their lifetime – an increasingly pervasive crime in our community that many times goes unnoticed. WZZM13 News covered this topic in a segment on ‘Being Bold’ in the West Michigan area. Ashley Ward and Director of Prevention & Education at Safe Haven Ministries share how weekly support groups for women help them to learn more about what domestic violence looks like and be around others who have experienced similar situations. Finding the courage to be bold in the face of adversity, she started her own firm to give back a portion of the companies revenue to Safe Haven. Now, Ward works to encourage others to do just that and continually inspire women throughout Grand Rapids. Watch the full video interview here!